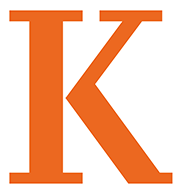 Kalamazoo College boasts a lively writing community. Students produce poems, journalism, analytical essays, short stories, novels, and creative non-fiction in classes and workshops, as well as one-on-one with professors through their Senior Individualized Projects. Students share their work in public readings that can draw up to a hundred fellow students, and they publish in professional venues and on-campus publications including The Cauldron (student literary magazine); Index (student newspaper); and Passage (study abroad magazine). A brief writing sample, which can be either three poems or a single piece of prose (3-5 pages, typed and double spaced). A prose piece might be a critical essay, a piece of creative non-fiction, a piece of journalism, a short story, or a novel excerpt. While complete pieces are desirable, a coherent 3-5 page excerpt in a prose genre is acceptable. The English Department will carefully review your work. Please address any questions to Marcus Johnson.